Dave Nadz and Alexandre LeBlanc: two dedicated artists, from Montral Canada, never imagined they would one day partner up to create such a powerful team. Today, Dave Nadz and Alexandre LeBlanc both partake in the international trance music scene with new and exquisitely well-crafted material and some rather stellar musical accomplishments of their own. But it wasn’t always the case for these young musicians. It took quite a lot of time and effort to get there. Their dedication and passion, still driving them today, has allowed them to gradually carve themselves a place with the best DJ’s in the world. Keyboardist in high school and College student in piano and computer-assisted sound design, Alexandre knew from a young age that he belonged in the music business. It was during College that he would teach piano and keyboard while taking part in private music production projects. For LeBlanc, nothing could get in front of his passion for creating music. It was during that same period that he discovered Trance Music for the first time; a genre that completely changed the course of his career. In 1995 he had his first taste of being a DJ. Alexandre would mix vinyl discs with electronic instruments, something very daunting at the time. His inspiration came from the UK & Germany. LeBlanc learned quickly and slowly began producing his own material. His childhood dreams of one day becoming a musical producer was becoming a reality. LeBlanc enjoys the contrast between hard beats and melodic sounds. He’s known for delivering energetic and fast-paced trance music filled with melodic drops and breakdowns. Dave began listening to dance and trance music at a very young age, and never stopped through his teenage years. In was in the year 2000 that Dave’s career really got up and going. After a friend introduced him to mix tapes that included sets from Armin Van Burren and a Paul Van Dyk performance at Sensation White, Dave, completely addicted to Trance Music, began his career as a DJ with a close friend and mentor at the time: Oliver Rokks. On the local scene, Dave’s skills and passion for the genre have allowed him to take part in major clubs across Canada, notably in Toronto, where in the summer of 2010, he shared decks with Rank-1 during a trance event. Today, Dave Nadz is a resident DJ at Montreal’s Circus Afterhours club where he has performed alongside Orjan Nilsen, Richard Durand, Bryan Kearney, Arty, Tritonal, Tomac, and Eco. For Dave, Trance Music is an emotion that captures evolving moments, such as happiness, euphoria, or even sorrow. His sets always reflect his vibe, something he desperately wants his listeners to feel. His inspiration comes from old school trance music and his tracks often blend deep chord progression with energetic melodies. Both motivated and dedicated by a common passion, they merged shortly after, creating the Dave Nadz & LeBlanc duo in 2009. In 2011, the duo released their first single called Distraction which has been received with positive response from the entire trance community. 2014 saw the duo’s Estigma - Syriana Remix receiving a double support from the legendary Solarstone. And more recently, in 2015, Paul Denton vs Dave Nadz & LeBlanc-Vertue, another popular set from the duo and one of their most prized accomplishments, has been played by Armin van Buuren on ASOT. Furthermore, their latest tune, NavidN2M - Evolution (Dave Nadz & LeBlanc Remix) has received a double support from Aly & Fila and was also voted Future Sound of the week by the listeners of FSOE Radio Show! 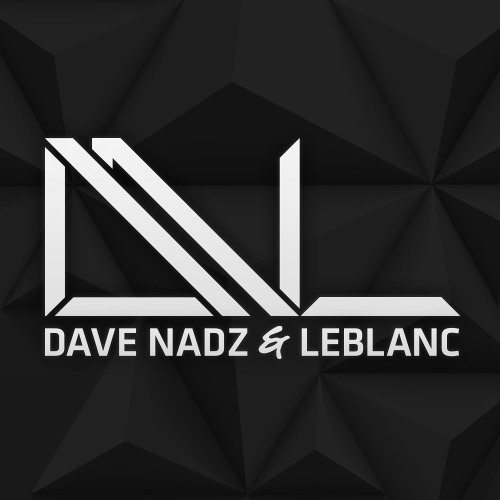 Since 2006, Dave Nadz & LeBlanc run their own radio show called Moments of Trance, where they captivate listeners from around the world thanks to their uplifting and tech-trance selections. Moments of Trance has celebrated its 200th episode in October 2015. The show runs twice a month, on every 2nd and 4th Wednesday at 5 p.m. Eastern Time on AH. FM. Recordings for each episode are available by Podcast MP3 on iTunes.